Any tried their bagels? how do they compare with e.g. Ess-a-bagel, Absolute, etc. 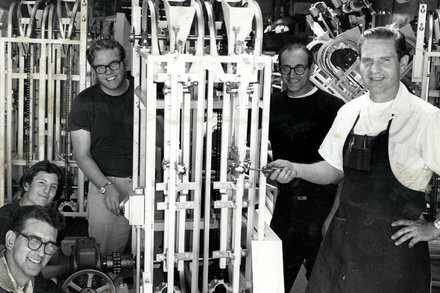 Unrelated to your question- here’s an article from a couple of days ago on New York Times on the guy who invented the bagel machine that mass produces bagels. I took my bagel home, had it toasted with avocado- it was rather small, much smaller than ees-a-bagel or absolute, not as skinny as black seed but a definitive ring shape with stick two fingers in the middle hole. Really great pumpernickel flavor, a good distribution of the "everything " although a bit of that ended up in the bag. The insides are more dense than others, I wouldn’t want this bagel any larger. Maybe the plain is lighter and more fluffy though.